(Buenos Aires) The Pontifical Catholic University of Argentina will receive a new rector tomorrow. This ends the term of Monsignor Victor Manuel Fernandez, one of Pope Francis' closest and most controversial confidants. In Rome, many people wonder: What will be his new task? 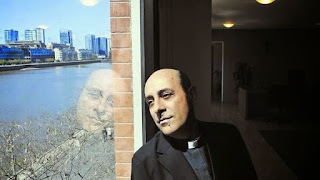 Victor Manuel Fernandez is widely regarded as the Ghostwriter of Pope Francis and as an alter ego of his Argentine compatriot on the Pope's throne. The Vaticanist Sandro Magister counts him next to the Jesuit Antonio Spadaro and the Presbyterian Pastor Marcelo Figueroa as the dubious "three musketeers of the Pope"
On Monday, the Pontificia Universidad Catolica Argentina (UCA) published a press statement announcing a "new rector of the UCA". According to the statement, there was is a "shared time in office agreed between Rector Msgr. Victor Manuel Fernandez and the Grand Chancellor, Cardinal Mario Aurelio Poli." Cardinal Poli is the successor appointed as Archbishop of Buenos Aires by Pope Francis in April 2013. The respective Archbishop of Buenos Aires is automatically also the Grand Chancellor of the University. 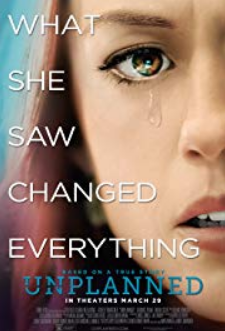 "It comes as no surprise that Rome, following this book and other equally controversial book productions, vetoed the appointment of Fernandez as Rector of the Catholic University of Argentina." In 2004 and 2005 he published essays defending situational ethics. The influence of the Papal "eyeball" on Bergoglio would deserve its own investigation. However, Cardinal Bergoglio stubbornly persisted in appointing his confidant as the university rector, thereby defeating Rome, which bowed to the will of the Jesuit "on the periphery". But that was not all: When Bergoglio was elected pope four years later, he took revenge on the Roman opponents in this power struggle. Demonstratively, he appointed Fernandez as one of his first personnel decisions, to Titular Archbishop. At the same time he showed his Roman opponents to the door. A few months after his election, he dismissed nine members of the Education Congregation . And even more: the Fernandez's personal file from 2009 was the concern of French Dominican, Curia Archbishop Jean-Louis Bruguès. Msgr. Brugués was secretary of the Congregation for Education at that time, expressing doubts and reservations about the appointment of Fernandez as Rector. Pope Benedict XVI, who valued the Dominican, made him Archivist and Librarian of the Holy Roman Church in 2012. This office, the "memory" of the Church, is traditionally associated with the cardinalatial dignity. But Brugués has since been denied by a vindictive Franciscan. Since Cardinal Bergoglio moved to Rome as Pope Francis, Fernandez also commutes between Buenos Aires and the Vatican. He is considered the real speechwriter of the pope. In fact, in recent years he has spent more time in Rome than in Buenos Aires. As adviser to Pope Francis, Msgr. Fernandez has attracted attention mainly through questionable contributions. 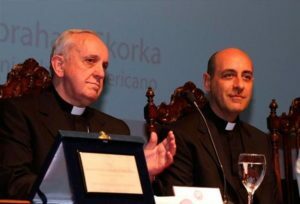 Fernandez was part of the editorial team for Amoris laetitia. Complete paragraphs of the particularly controversial eighth chapter, "with which Pope Francis has shaken the Church the most", said Magister in the previous year, are from older writings by Fernandez. Similar text contributions can be found in other papal documents. In summer 2017, an essay by the Pope's protégé was published in the journal, Medellín. There, Fernandez let the cat out of the bag, so to speak, spreading what was hitherto vehemently disputed by the papal court: Almost a year and a half after the publication of the post-Synodal letter Amoris laetitia, Fernandez admitted that Pope Francis wanted to and has changed the "discipline" of the Church. So far, from the papal inner-circle, it has been claimed against the critics with emphasis, it changes "nothing." 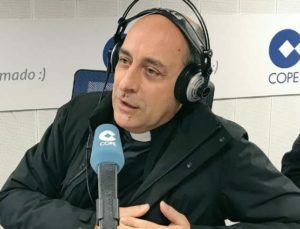 In December 2016, Fernandez dismissed concerns of Catholic theologians, intellectuals, bishops and priests about Amoris laetitia, as that of four cardinals, which he described as " ultra-Catholic " interjections . After all, the Church is "not a cannon firing safe teachings." On 12 August 2017, in an interview with the Argentine newspaper La Voz del Interior, he spoke of a "new type of organization in the parishes". He called celibacy the mere "norm" of the Church. Criticizing celibacy is linked to the exercise of the responsibilities of a pastor as "power". Therefore, new organizational structures for parishes should be created by transferring "power" to lay people, "men and women". Then it will be less "disturbing" of the life of the parish that "the priest is celibate", which is then also is "less questioned". The new rector - and new tasks of the old kind? New Rector of the UCA, founded in 1958, will be Miguel Angel Schiavone, who has already been confirmed by the Holy See. Tomorrow, March, the doctor and first layman at the head of the university will take office as the sixth rector in the history of the UCA. The official inauguration with an academic celebration will take place on May 9th. Fernandez has said goodbye to the University with the celebration of a Mass. The question is: what new tasks will Fernandez take on? The "felt" influence of "Tucho", as friends call him, is so great that, after the dismissal of Cardinal Gerhard Müller, he was even rumored to be in consideration as the new Prefect of the Congregation of the Faith. Since he has spent more time in Rome than in Argentina in the past few years to advise Pope Francis and to write for him, more Fernandez must be expected in the Vatican. Officially, it only means that the outgoing rector will support the new rector. I was in Rome many years ago. Isn't there a large group of old fashioned standing/squating/Turkish toilets there? Msgr Fernandez seems quite well qualified to tend to those? With Jorge's extreme fondness for the huge wave of immigration from the Middle East, they can gradually, together, ready St Peter's to become a World Class Mosque, don't you think? Seems like the perfect promotion for the circumstances! His book on kissing must be a real page-turner! How much longer must the Church tolerate such prelates who believe and write such books as described ?? ?